Welcome to the “D,” JP! 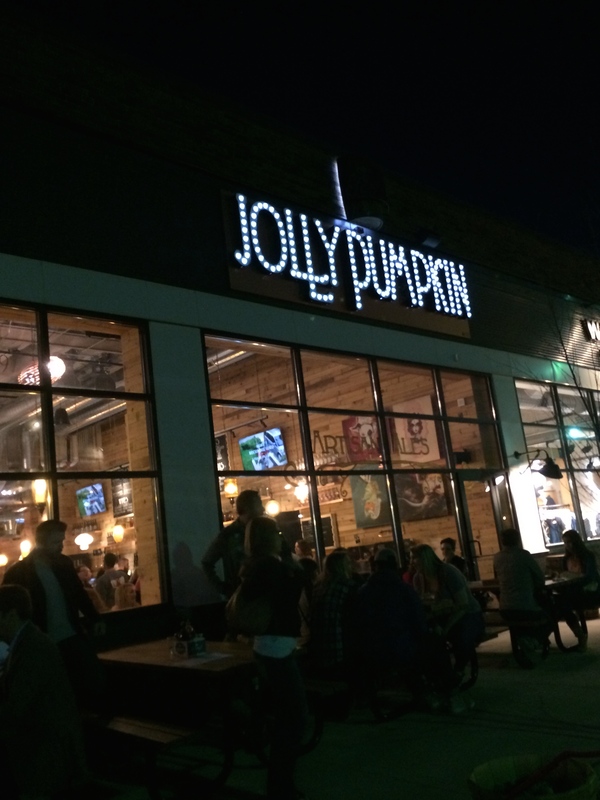 Fondly nicknamed by some as “JP,” the highly anticipated Jolly Pumpkin Artisan Ales Detroit location opened its doors on April 11th, and has been attracting customers from far and wide ever since. While many are familiar with the Traverse City and Ann Arbor locations, Detroit’s “JP” has a style of its own that perfectly suits the Midtown scene. Now that spring has finally decided to show, customers can sit comfortably outside in the quaint patio area and enjoy the weather and endless people watching. For those who opt for indoor seating, Jolly Pumpkin’s interior is spacious, with plenty of wood and funky art on the walls. Unlike its sister locations, you place your food and drink order at the back counter. While you’re food is brought to your table, you’ll grab your drinks at a second counter after you place your order. 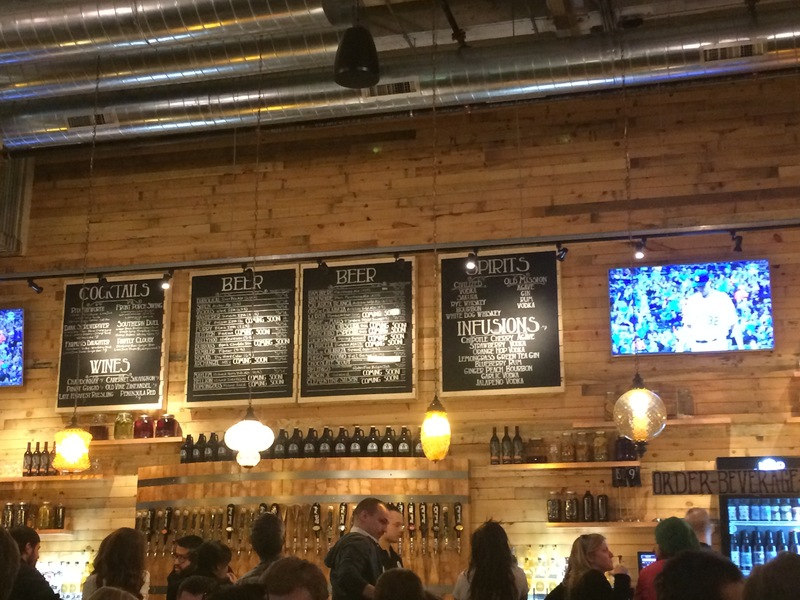 Jolly Pumpkin brews its own French and Belgian style beers in addition to serving North Peak and Grizzly Peak brews. 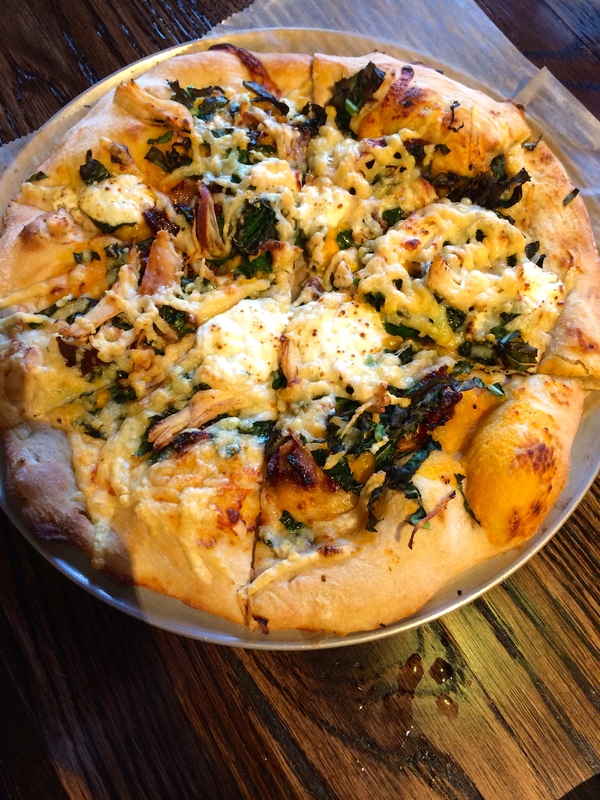 Depending on the type of food you’re craving, Jolly Pumpkin offers a well-crafted menu of salads, sandwiches, burgers, and my personal favorite, pizzas. My favorite pizza to date is the “Mushroom,” which is loaded with creamed shiitakes, goat cheese, delicate mozzarella, and arugula, with a generous drizzle of truffle oil. If you’re looking for a more meaty ‘za, try the “Korean Shortrib” or “Chicken and Kale.” The dough is soft and chewy, with a crunchy outer edge, and the combination of toppings are mind-blowing. 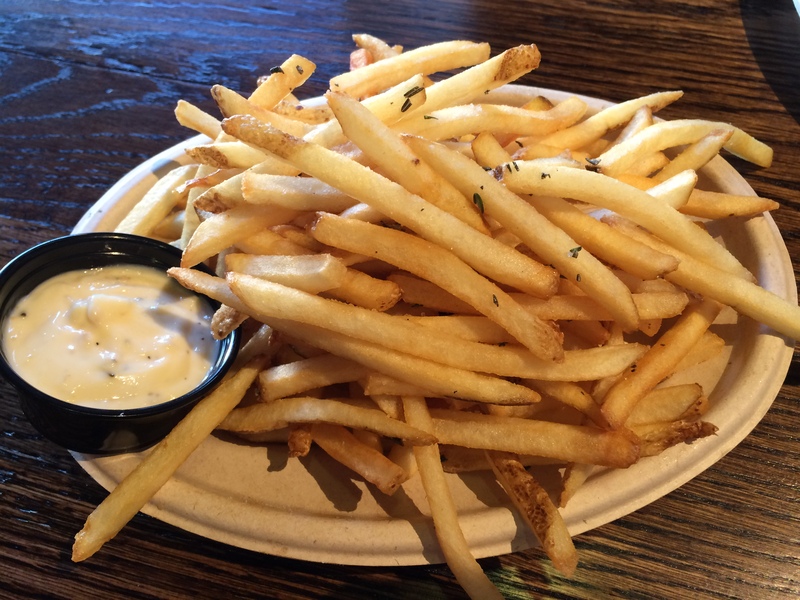 If you’re looking for something extra decadent to top off your meal, don’t think twice about ordering the truffle fries, which you can get as a side. They are thin cut with just the right amount of salt, and are served with a side of creamy rosemary aioli. Your dinner-mates and stomach will thank you. By the end of the evening, you might be thinking about what you’re going to order next time due to their appetizing menu. Plus, each location has their own signature menu items, so you can get a good variety no matter which spot you choose. I think “JP in the D’s” vibe is perfect for Midtown — it’s far from pretentious and snooty, with delicious food, brews, and the friendliest staff. So, if you’re looking for a new place to go for a fun night out or for some much-needed drinks after work, head over to Jolly Pumpkin for a laid back, yet classy time. Hours: Mon-Wed. 11:30 am – 11:00 pm, Thurs.-Sat. 11:30 am – 1:00 am, Sun. 11:30 a.m. – 10:00 p.m.
Click here to view the website/menu! You can also find Jolly Pumpkin on Facebook, Twitter, and Instagram for more scoop on food, drinks, and upcoming events!